I am grateful to all of you, my friends who cared to enquire about my health. It’s been almost a month since I posted. And I wanted to come back with a something special, or rather something sweet. And what could be more enticing than a rich chocolate brownie, perfect for the Valentine season and perfect for Meeta’s MM-Sweet Love too. I dedicate this recipe to my family and to all my blogger buddies. Hope you enjoy this rich, chewy and chocolate-y dessert! So, here goes the recipe..
A word about brownies. 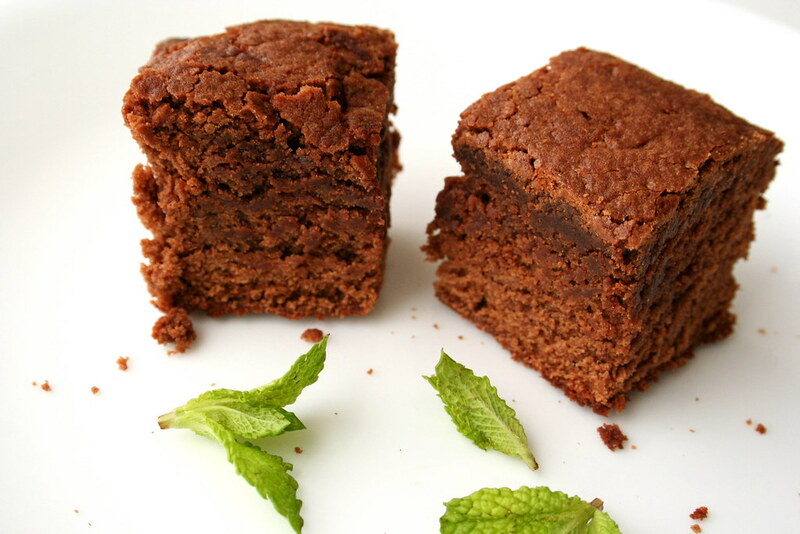 Though brownies are similar to cakes, there is a difference between the two. Brownies are denser and richer and need a thick batter. Note the absence of leavening agents in the recipe. Cakes on the other hand have an airy texture and are lighter. A good cake comes from a batter which has enough air beaten into it.